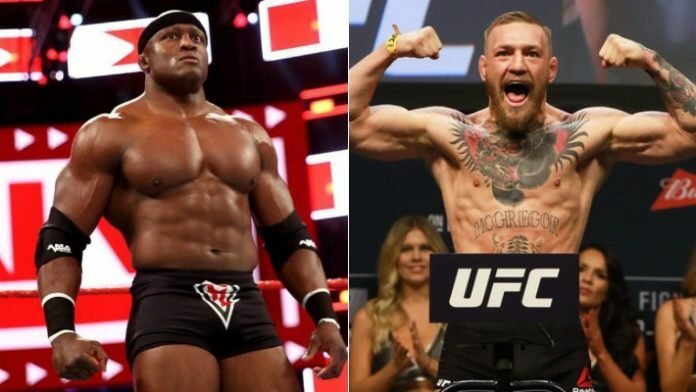 Former WWE Intercontinental Champion Bobby Lashley gave his take about the possibility of former UFC Lightweight and Featherweight Champion Conor McGregor competing in the squared circle under the WWE banner. In recent weeks, McGregor has been teasing going to the company with many people thinking it was a negotiation tactic on his part for his next fight in the UFC. Although McGregor has been hinting at getting into the ring, there are some fans who don’t think this is a real possibility. For Lashley, he’s on board with the idea and thinks it would be great for the attention that WWE would get. He elaborated on his belief during an interview with Sky Sports. Lashley continued by stating that he doesn’t think WWE would make him a champion due to his size.